The floral crown trend isn’t going anywhere fast, but a fresh new spin of this trend is quickly gaining steam. 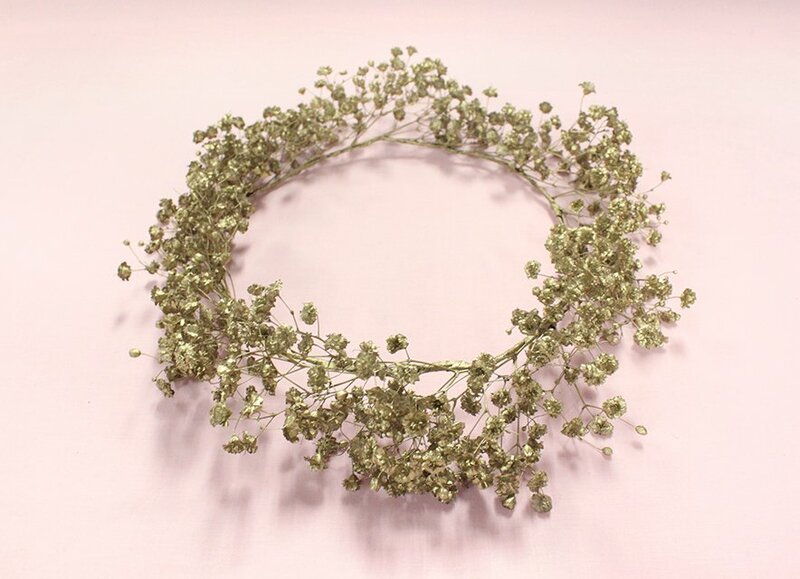 Feast your eyes on the baby’s breath floral crown. This classic flower choice is making a trendy comeback with its fairy tale inspired, woodland look and feel. 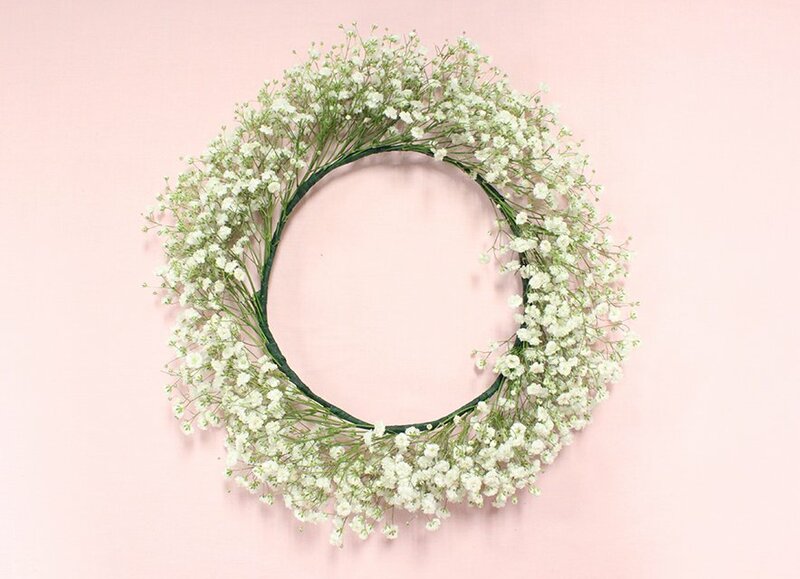 It’s a hit because it’s easy to arrange, is an affordable flower, and looks effortlessly elegant, rustic, and feminine all at once. 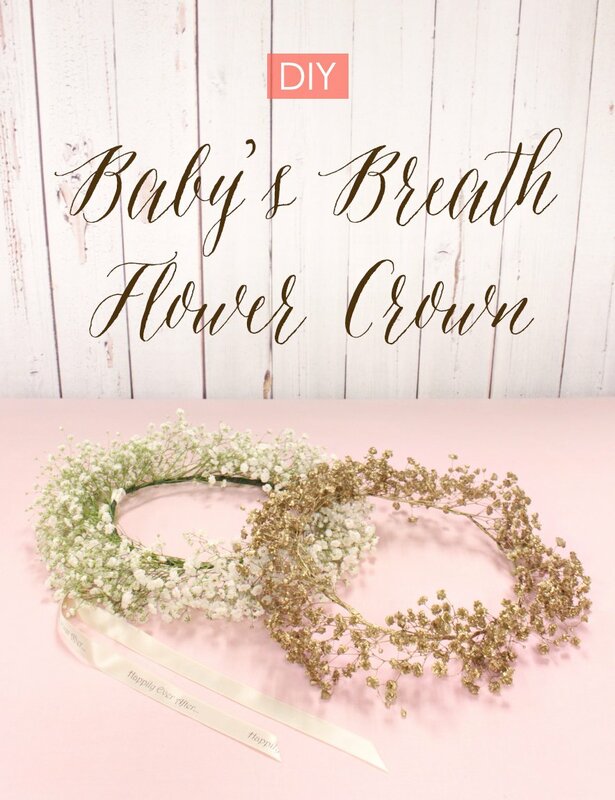 Learn how to easily create your own baby’s breath flower crown with the simple instructions below. Using the wire, carefully measure the circumference of your head. Trim with pliers once measurements have been determined. PRO TIP: If using thin wire, you may need to wrap wire around 2-3 times ensure a strong base. 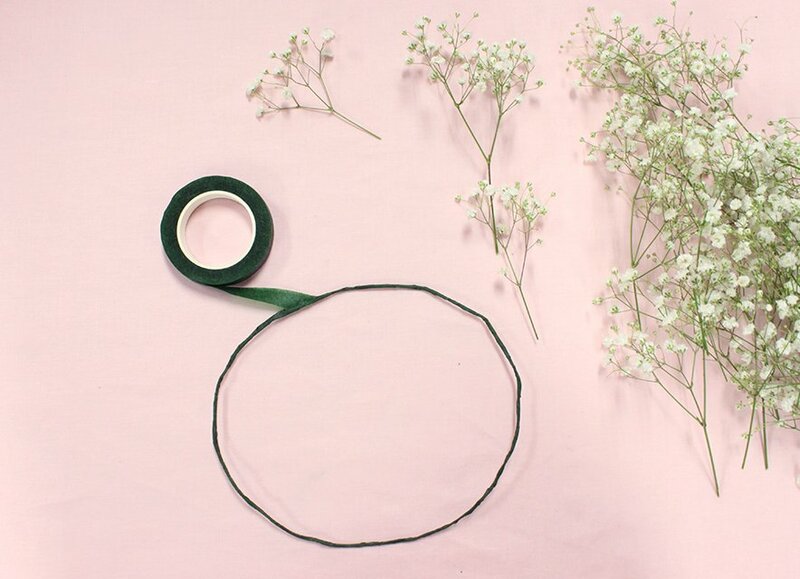 Wrap the wire crown base with floral tape for added protection and a polished finish. 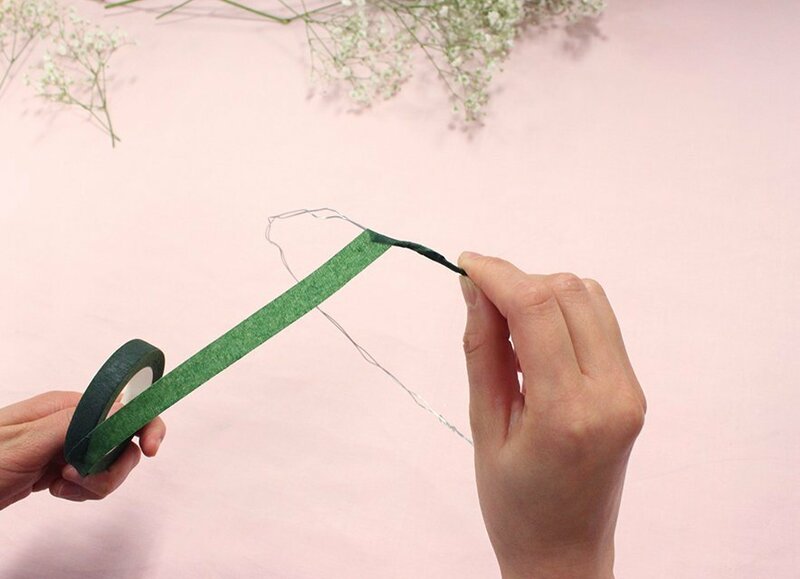 PRO TIP: You can wrap the wire base with the floral tape using one continuous loop -OR- work your way around by wrapping the crown with smaller, torn sections. Choose whichever method is easiest for you. 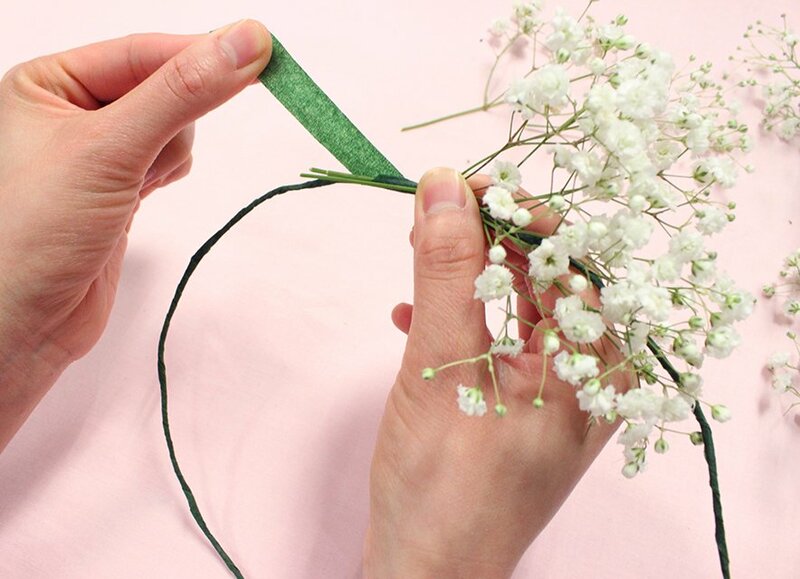 Prepare your baby’s breath by trimming off the buds, but leaving a few inches of stem (the stem is important for step 4). 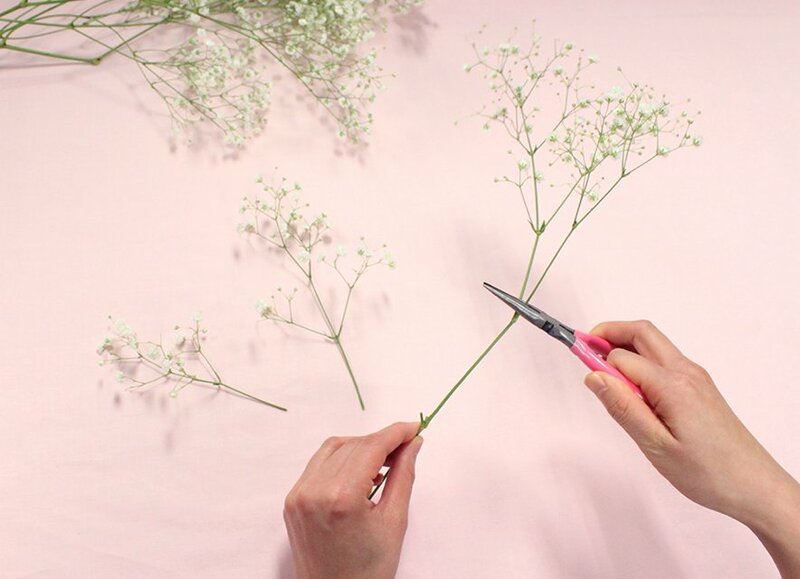 Bunch as many buds together as you like (more for a fuller crown, less for a sparser look), lay each bunch horizontally along crown base, and tape the stems as you work your way around the crown. 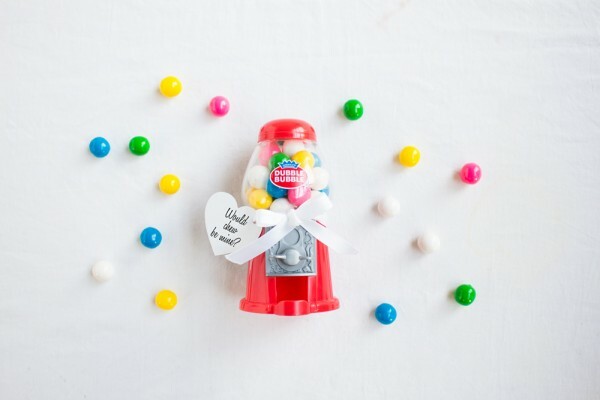 Continue adding bunches and taping them down until you’ve reached the original starting point. 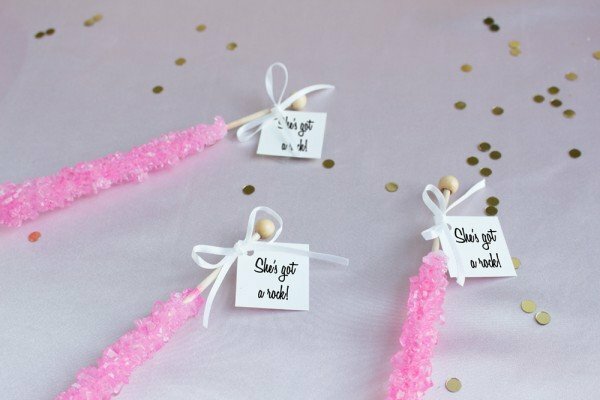 Tie a pretty satin ribbon like this “Happily Ever After…” version to finish the look. 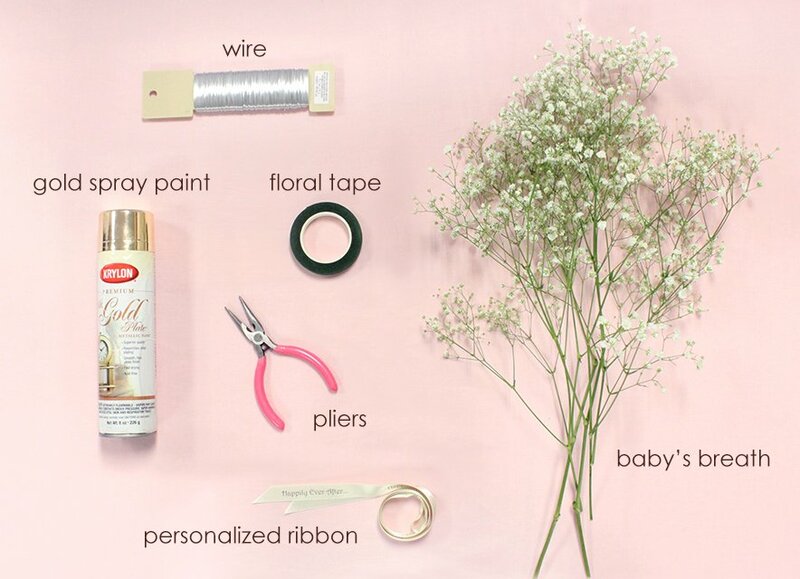 Another fun option is to spray paint your finished baby’s breath crown for a completely different look and feel. Colors like metallic gold, copper, and silver are some pretty suggestions to play around with. PRO TIP: If exercising this alternative option, take care to spray evenly and thoroughly to ensure all nooks and crannies of the wreath are evenly coated. Creating a sparser crown will aid in easier spraying. 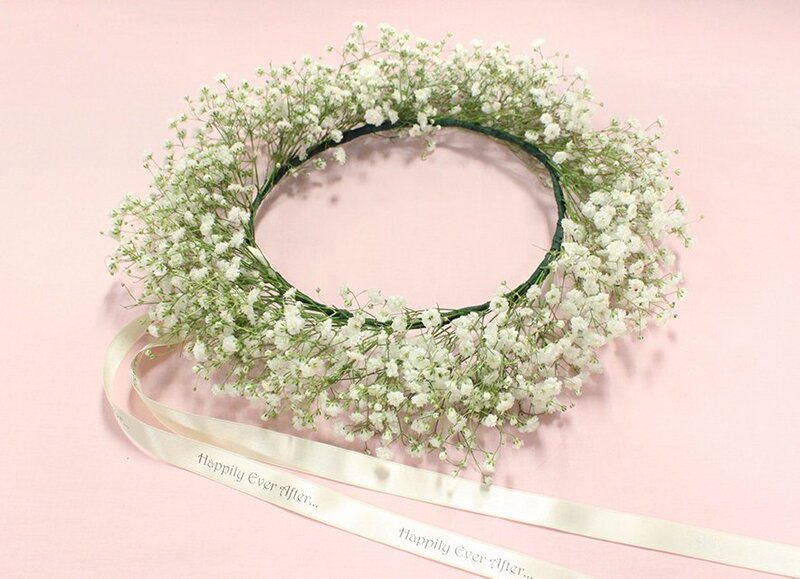 Sport this updated version of the flower crown for weddings, music festivals, birthdays, whenever! It’s simple to make, easy to wear, and always on-trend. 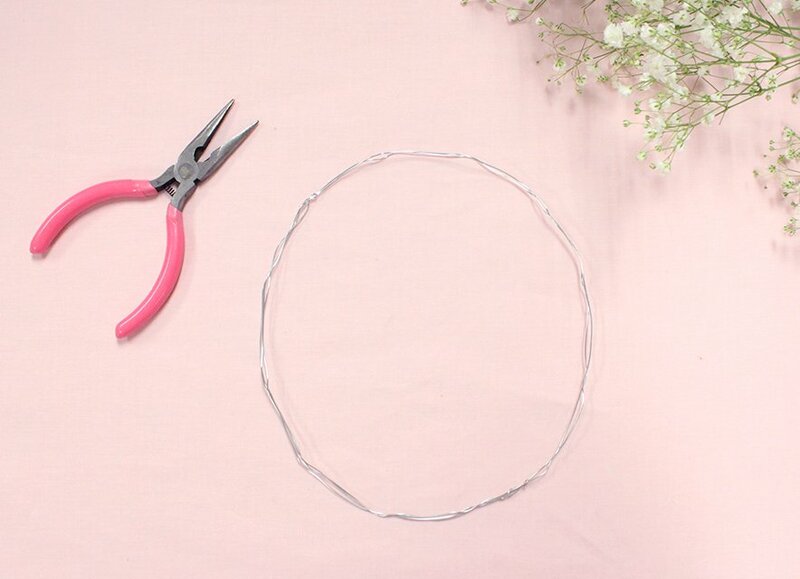 For even more floral crown tutorials, check out our wedding floral crown tutorial now.